Equipment used for industrial filtration and separation must provide positive shutoff on applications dealing with dirty fluids and high cycles. For reliable performance, flexibility, availability and endurance, manufacturers require valves which can deliver a high life cycle with minimal space requirements. 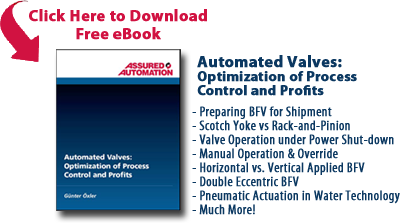 To meet these stringent requirements, leading manufacturers rely on Assured Automation’s compact automated valves, angle body valves , high performance butterfly valves and resilient seated butterfly valves. Assured Automation has specialized in supplying valves with improved stem seal designs to ensure a long life in high cycle applications. 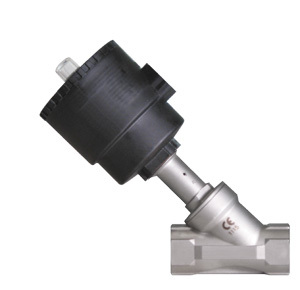 While other manufacturers sell a single valve design for every application, Assured Automation offers a variety of valve options to match the specific filtration application. 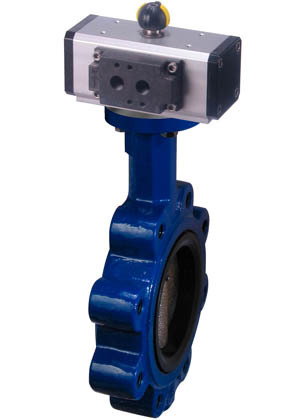 The direct mount actuation design on these valves reduces the space requirement required for automated filtration and separation systems. Assured Automation’s Ares Angle body valve, 26 Series full port ball valve and MPF 3 Way flanged ball valves are preferred for smaller lines sizes offering high cycle-life, durability and reliability, and compact assembly. High performance butterfly valves and resilient seated butterfly valvesare preferred for line sizes 3” and larger. All valve designswill meet the high cycle demands of industrial filtration and separation equipment. This entry was posted in Custom Projects, Latest News and tagged 2-Way Ball Valves, 3-Way Ball Valves, Actuated Butterfly Valves, Angle Valves, Ares & Zeus Series, Automated Valves, Butterfly Valves. Bookmark the permalink.